At noon last Friday, the bell in the Burlington City Hall clock tower rang out its midday notice and seemed to set off a river of sound. Three Harleys, riding in sync, revved their engines hard and cruised north on St. Paul Street. A puppy splashed in the fountain in City Hall Park. The alarm of a black Mercedes sedan parked on College Street let out its nightmare city sound — again and again. Behind the BCA Center, a country-rock band kicked off a lunchtime set. Across the park, four children laughed and played in the shade of some trees. Anyone paying close attention could make out another sound in this urban symphony: a call-and-response chorus of soft, quick digital beeps seemingly coming from the sky. And the source of the sound was indeed overhead: a collection of watches strapped to tree branches, programmed to beep at intervals throughout the day. "Cool," said a couple of kids after they were told about the timepieces. "I think it's a work of art," commented Riley, 8. 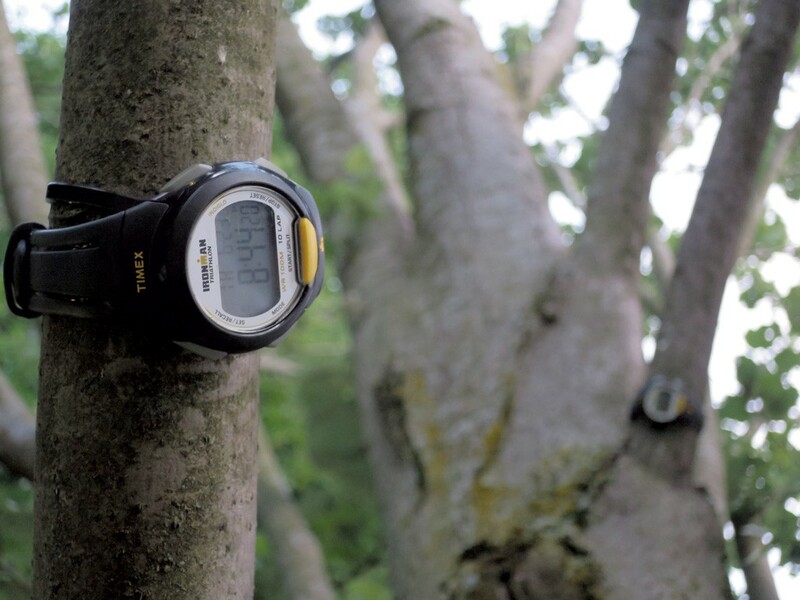 Riley got a hint from a reporter, but he was on it: City Hall Park is the site of an art installation created by Chris Mahonski, a sculptor from Richmond, Va. Called "Spurious Brood," the project consists of about 200 watches hidden in plain sight in the trees and intermittently beeping the day away. The sound builds to a crescendo at dusk, with nearly 100 watches emitting digital chirps as their faces light up and blink. The name of Mahonski's piece refers to cicadas that emerge in an off year, out of time with the life cycle of the insects in their brood. (They are sometimes called stragglers.) In Vermont, a species called the dog-day cicada emerges annually in early July and lasts through the summer, according to state wildlife biologist Mark Ferguson. The insects emit a high buzzing sound. "You hear it all the time and may not know what it is," he said. Mahonski, 34, has an MFA in sculpture from Virginia Commonwealth University Institute for Contemporary Art. Talking with a reporter before his informal opening on Thursday night, he said he's interested in making and presenting public art in an alternative form — creating work outside the more standard practice of "a monument, a figurative sculpture or a geometric abstraction plopped in a landscape," as he put it. "I'm trying to do public art, but I'm trying to subvert the standard ideas," Mahonski said. "Spurious Brood" wasn't "plopped" into the landscape but rather installed last week one Timex Ironman at a time. Standing on ladders under the trees, Mahonski and helpers identified branches roughly the size of a human wrist, reached into the leaves and affixed watches 16 to 24 inches apart. "I conceived of this project 'cause I lived with one of these watches," Mahonski said, though his wrists were bare on Thursday evening. "It's a dumb project. The conceptual framework is not very sophisticated," he conceded. Mahonski previously installed "Spurious Brood" at Socrates Sculpture Park in Long Island City, N.Y. Some of the watches were stolen, others got lost and a few needed their batteries replaced, the artist reported. Overall, though, they remained in workable condition and survived a northeast winter. "They're really good watches," he testified. Mahonski was pleased by what he called the "guerrilla-style" installation in Burlington. He likes the fact that the piece is in a public park rather than a place where people specifically go to see art. On Saturday morning at the Burlington Farmers Market, visitor André Bilodeau of Montréal noticed the digital sound installation despite the soundtrack of vendors, customers, children and dogs. A historian and librarian, he spotted a small sign on a tree describing "Spurious Brood," then looked and listened for it as seemingly unaware market shoppers passed by. "You see it, but you don't see it," Bilodeau said. "You hear it, but you don't hear it. You're alone, but you're not alone." 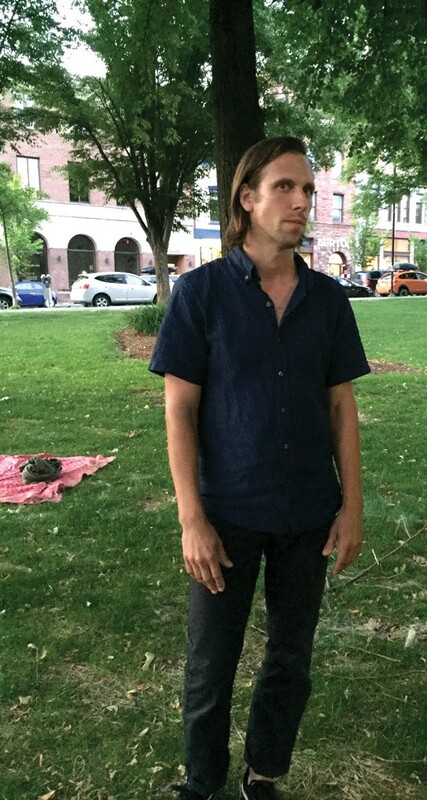 The installation in Burlington is presented by Overnight Projects, which curates exhibitions in nonconventional spaces such as parks and abandoned structures, according to cofounder Sarah O Donnell. She met Mahonski — whom she called "kind of a big deal" — when both attended the Tyler School of Art at Temple University in Philadelphia. As she introduced Mahonski Thursday night in the park, the 9 p.m. bell chimed from the clock tower. O Donnell paused for what she jokingly called the "noise pollution." Mahonski laughed and observed, "This is, like, perfect. That's the daddy watch." The original print version of this article was headlined "Art If You're Wondering What's Beeping in Burlington City Hall Park, Look Up"